The last thing you want to see the day after a 3%+ decline in the S&P 500 is another 1%+ decline at the open the following day, but that’s what today’s open is shaping up to be. 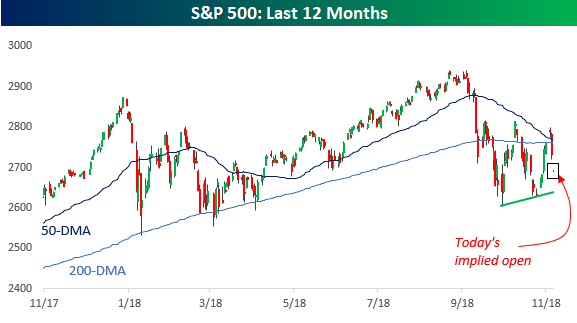 In looking at the chart of the S&P 500 below, the fact that we were unable to hold above 2,800 for a third time on Monday is certainly a disappointment, but this latest swoon to the downside hasn’t violated any important levels as of yet. Even with today’s implied open, we still won’t be making any sort of lower low. That doesn’t mean things will not get worse going forward, but we just wanted to provide some perspective of where things stand now. 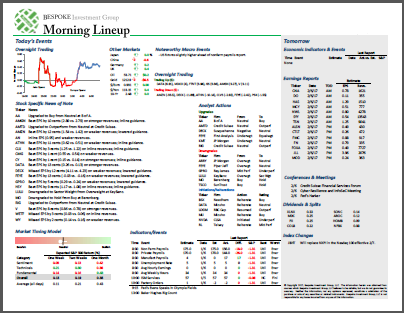 As always, we’ll be watching some of our key internal indicators for any further clues.